Where have all the guidance counsellors gone? People for Education has released a new report showing that guidance counsellors in Ontario schools are spread too thin and their job lacks clarity. The introduction of new policy to support students’ mental health, well-being, and social-emotional development has expanded the role of guidance counsellors beyond course selection and career planning. But the new report shows that only 17% of elementary schools have guidance counsellors, and schools in rural areas and small towns have less access than larger urban centres. The average ratio of students to guidance counsellors in secondary school is 381 to 1. In 10% of secondary schools, the ratio is as high as 595 students for every one guidance counsellor. The report includes recommendations for changes to policy and funding for guidance counsellors. As part of its 2016 budget, the Ontario government has announced substantial changes to the Ontario Student Assistance Program (OSAP), making post-secondary education more accessible to low and middle income families. Ensure that students receive as much or more aid through the new grant than they currently get through the 30% Off Ontario Tuition Grant. For more information and examples of how the new grants will work, click here. Ontario’s recent budget extended the mandate of Karen Pitre, the Premier’s Advisor on Community Hubs, and included support for a resource network that will provide community organizations with access to information about setting up community hubs. The budget also referenced changes to policy that will make it somewhat easier for outside organizations to buy or lease surplus schools. For more information about the recommended Community Hubs strategic framework and action plan, click here. To find out more about Measuring What Matters, click here. 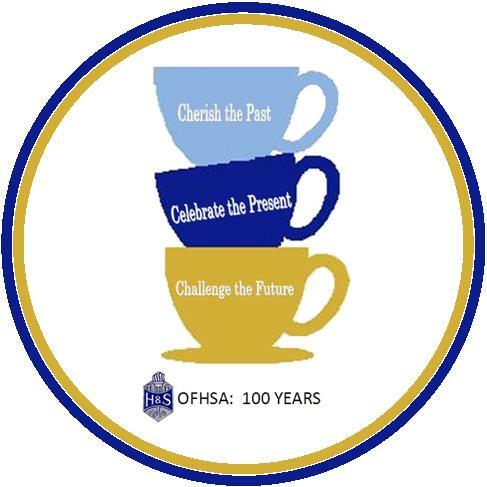 Congratulations to the Ontario Federation of Home and School Associations as it celebrates its centennial this year. The oldest parent organization in the province, the OFHSA was founded on the vision of a “grassroots organization of men and women interested in improving childhood and childhood education”. Its founder, Ada Courtice, saw the Home and School as a “movement intended to educate parents for the betterment of children, of education and, ultimately, for Canadian society as a whole”. One hundred years later, their tradition of parent engagement and public education advocacy continues. Learn more about the history of OFHSA. Sweden’s experiment with school choice through a voucher system didn’t work out so well. Education reform, charter schools, and increased testing in the U.S. have had almostno impact on student results since the 1970s. Meanwhile, German schools are showing improvement without dismantling public education. Parents and schools are struggling with the consequences of a boom in French immersion programs and their impact on English classrooms. Sexting: what parents need to know. Check out these tips from KidsHealth. Is there a link between the decline in play and the increase in children’s mental disorders? Join the Learning Disabilities Association of Halton for the 5th Annual Solutions for Learning Conference, with keynote speaker Lesley Andrew. As part of its 2016 speaker series, Roots of Empathy is hosting an evening with guest speaker Alison Gopnick, who will be talking aboutPerspectives on Parenting. Join the Ontario Coalition for Children and Youth Mental Health for its 2016 Summit. This year’s focus is Moving From Policy to Practice Through Collaboration. The Ontario Healthy Schools Coalition is hosting its 2016 Forum, Achieving Educational Outcomes Through a Healthy Schools Approach.